Leigh is an enthusiastic Great Books' alumna who attended our Amherst College program for two weeks each summer for six years. 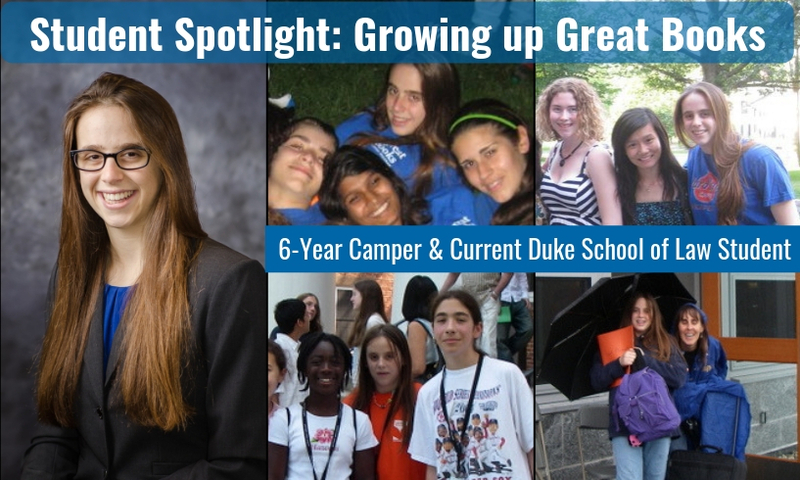 Today, she is a student at Duke University School of Law. Leigh offered to share her perspective on Great Books and its impact on her life journey. A trip to Literary Dublin is a breathtaking journey through the city and its suburbs including coastal towns and seaside villages with spectacular scenery and landscapes. It is also a book lover's paradise because some of literatures' most prolific authors and writers have called Dublin home. They include James Joyce, Oscar Wilde, Jonathan Swift, Bram Stoker, William Butler Yeats, and George Bernard Shaw. Here at Great Books' headquarters, the weather is turning crisp, the leaves are turning color, and candy corn can be found in every store. It is a sure sign Halloween is right around the corner, so here are a few spooky literary picks to get you ready for the holiday celebrating ghosts, goblins, and ghouls. We’d like to share with you some of the most exciting sites we plan to visit during our trip. It seems that everywhere you turn in Oxford, you’ve stumbled upon another piece of literary history. As we get excited for summer number 4 at Oxford’s Somerville College, here is a list of some of our favorite literary sites (and accompanying literature). As you gather with family and friends for this holiday weekend, consider reading and discussing this pRobert Hayden poem. The Verdict: A Little Life ought to win for its beautiful scope and intimacy with its characters. The Turner House will win for telling the story of a place as much as a family, especially because Detroit stands out among a pool of novels that take place in New York and the San Francisco Bay Area. Fortune Smiles will win for its creative diversity of perspectives. All are absolutely worth reading, no matter which one the judges pick tonight. Check out our schedule and meet us for an informational session about the Great Books Summer Program! Enrollment is open, so schedule your info meeting with us soon! Don't have your Halloween costume yet? Halloween is only a few days away, but fear not: these last-minute costume ideas are sure to make you the bookish life of the party. Join Spring Greeney, a doctoral candidate in the History Department at the University of Wisconsin-Madison and a 2009 graduate of Harvard College, in Chicago for an evening of exploring poetry and painting.